Smoothies are the ultimate power breakfast, in my opinion. In one easy and portable drink, you get multiple servings of fruit and vegetables plus protein so it always lasts you till lunch. And no matter what the ingredients are it always ends up tasting delicious, which makes me think my blender has magical powers. Once I discovered you could add spinach to smoothies without altering the taste, my morning breakfast was forever changed. 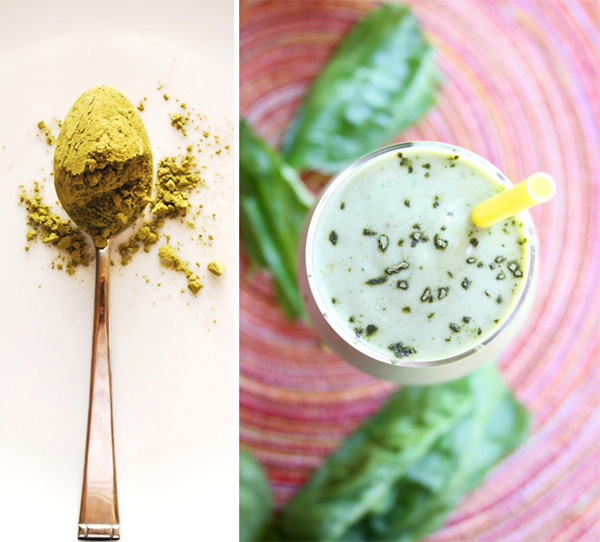 In this smoothie, we add spinach and green tea powder, or “matcha,” which contains more antioxidants than brewed green tea, raspberries and blueberries combined! 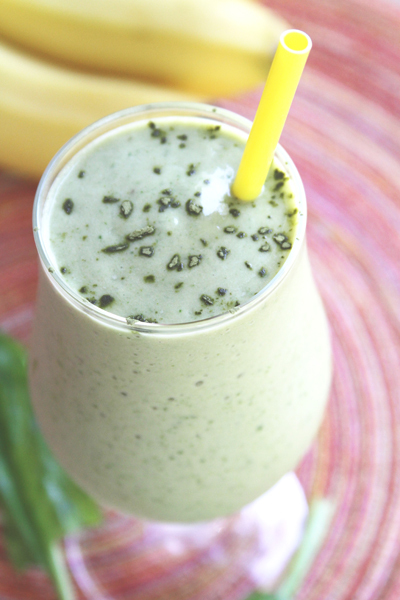 In other words, this is one of the healthiest smoothies on the block! The creaminess of the avocado and coconut milk meld together as a perfect base, the banana and vanilla whey add an understated sweetness, and the green tea provides a refreshing “pop” to the drink. If I had it my way, I’d have this smoothie for breakfast every day. The ingredients satisfy both a vegetarian and vegan diet, and the taste is so convincing that you don’t have to solely be a plant eater to enjoy this. You’ll get three of your daily servings of fruits and vegetables by the time you finish the glass. 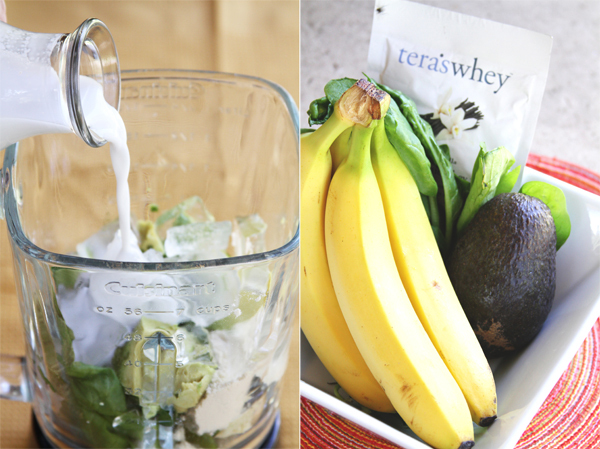 Place all ingredients in a blender and mix until well combined, adding more coconut milk or water if it’s too thick. Top with additional green tea powder or serve as is. BAKER’S DOZEN COOKBOOK — This Green Tea Power Smoothie recipe is one of 13 healthier breakfast and brunch recipes in our original e-cookbook. Preview here, download for just 99c here, or order your printed copy here!